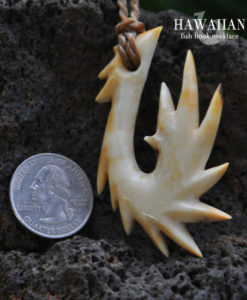 What it means to give a Hawaiian fish hook, In honor of Manaiakalani, which translates as “Hook from the Heavens,” giving a Hawaiian fish hook to someone symbolizes strength and prosperity, and is said to bring good luck for those traveling at sea. In addition, the wearer enjoys the prestige of being a great provider. It is not necessarily a romantic gift, but it is a gift given out of love. 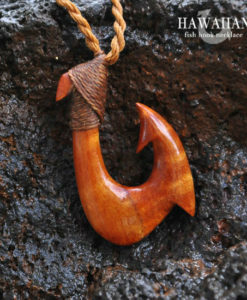 Authentic fish hooks (Makau’s) are hand carved from natural materials such as bone, pearl, jade, fossilized ivory, and various woods. 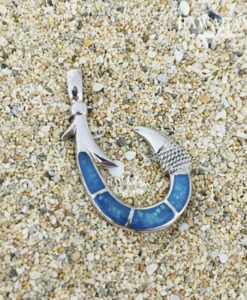 Luxury fish hooks can be made from silver, gold, or platinum and set with precious stones. 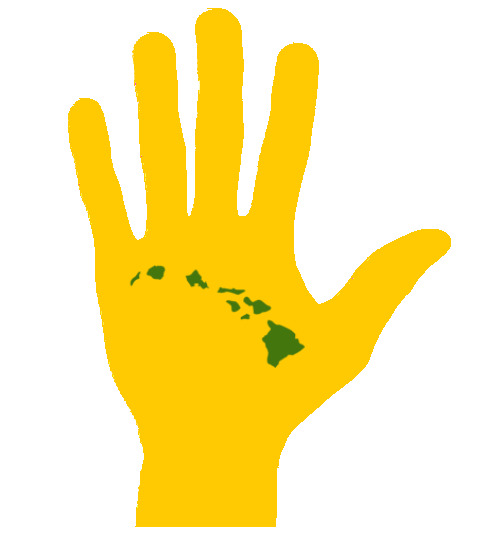 The legend became commerce about 15 years ago when a resurgence of the Hawaiian culture began to take form. 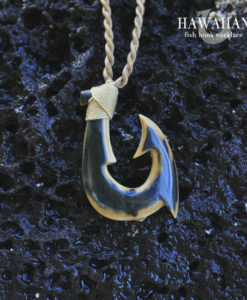 Commercial manufacturers soon jumped on the bandwagon and began mass producing hooks to be sold everywhere, but the real artisan work, handmade and individual, can still be found on Hawaiian Fish Hook Necklace (dot) com. 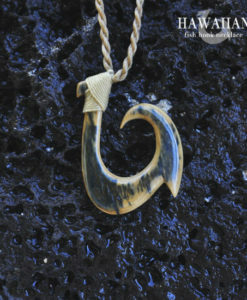 Giving a gift of a Hawaiian fish hook necklace is highly symbolic and deeply meaningful. 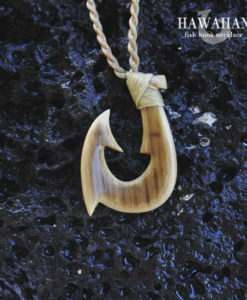 Specific carved designs add extra layers of meaning to the fish hook, and often tell a story significant to the wearer. 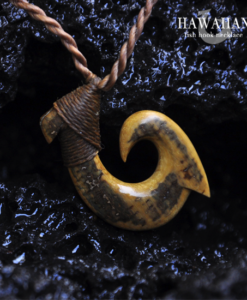 It is a gift rich with history and steeped in legend, a special treasure with roots in ancient lore. What type of hooks can I buy on your site? 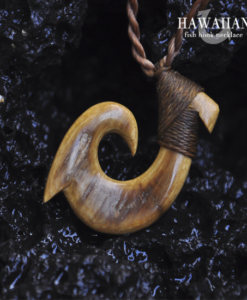 Custom Made Makau’s (Fish Hook Necklaces) are carved on a per order basis and will have an icon of my hand in gold with the Hawaiian islands stamped on it to symbolize; *Custom made and one of a kind. 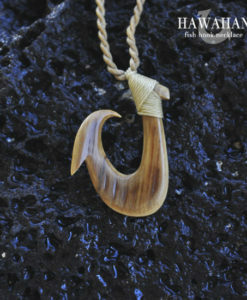 Handmade Makau’s (Fish Hook Necklaces) are inspirational carvings and will have an icon of my hand in green with the Hawaiian Islands stamped on it to symbolize; *Handmade and one of a kind. 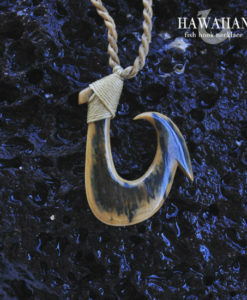 Hand selected hooks are made available to bring you quality fish hook necklace at an affordable price. 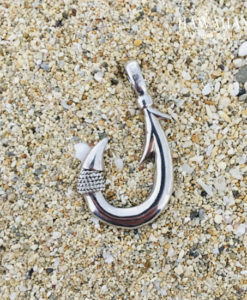 I want to thank you so much for my Fish Hook Pendant. 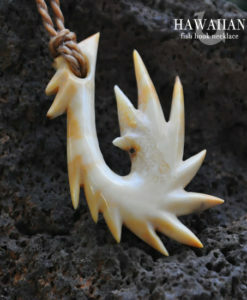 It will always be a very special reminder of my surf trip to Kauai. 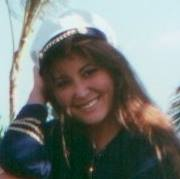 Also, it will always remind of the importance of the sea and all of it’s wonderful creatures. 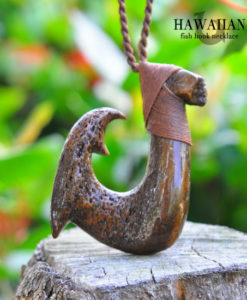 How ever one of the most special aspects of this hook is how much it means to you, and how much pride and love you put into carving it. 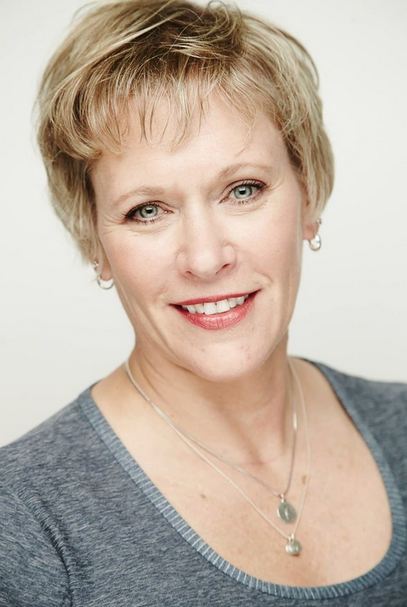 You are an incredibly talented individual, with a wonderful story and a meaningful mission. 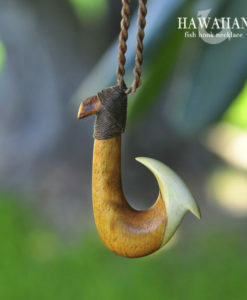 I am very honored and grateful to have one of your Fish Hooks. It is stunning. I am a person who has high expectations in life and as a result am normally perpetually disappointed, so I did open the box with the expectation of being so - not this time!!! 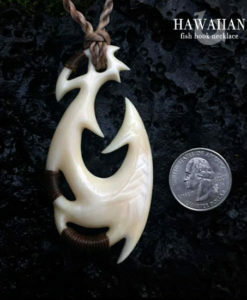 The craftsmanship is of the highest quality, you have achieved nice definition in the carving of the tattoo symbols while still keeping it looking hand carved. I am very impressed. Thank you so much! The work that I get from this artist is so beautiful and of best quality and a fair price also. Simply Outstanding Quality! Your talent is that of a fine jeweler! 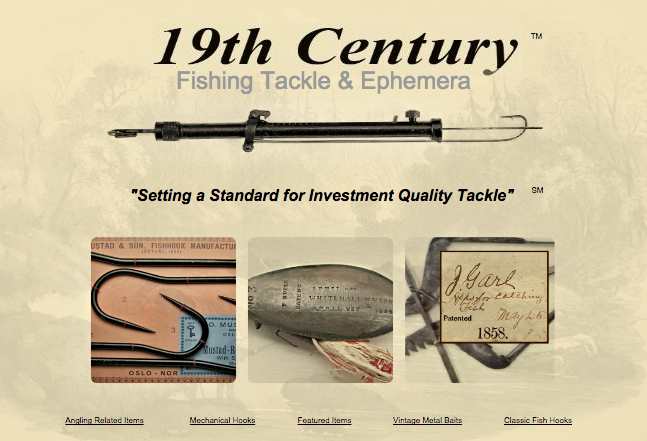 I am extremely pleased with my purchase and highly recommend your fish hooks!! Thank you for providing me with an heirloom! 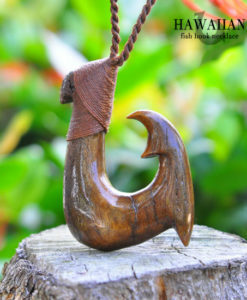 Having been a fisherman and working on boats my whole life I have always loved the symbolism of the fish hook and had a deep respect for the ocean. This piece is simply amazing. It was everything I wanted and more. I would recommend it to anyone interested. Wow bro. The pic on the web doesn't do this piece justice. Very happy with my purchase. Thank you. 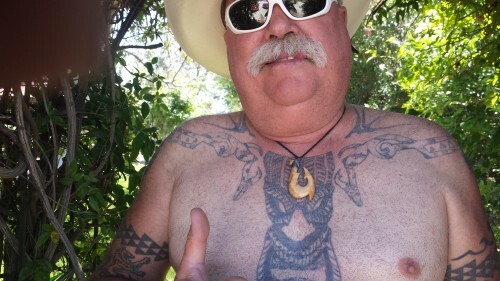 Charles received his necklace and is very happy. 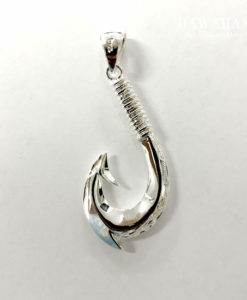 Being a devout fisherman and in a major transition in my life; i went looking for an authentic hook to mark my new chapter in life. 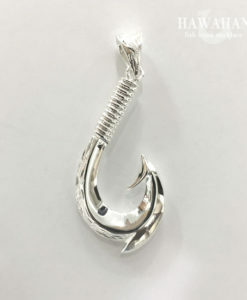 A hook that i could wear indefinitely, look to as a reminder to stick to my plan, and something to hand down to a younger one. 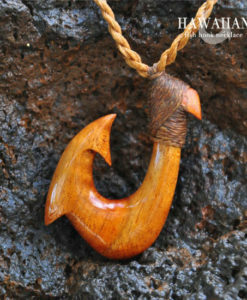 I'm happy to have found Po'okela as the hook exceeds my expectations in beauty and craftsmanship. 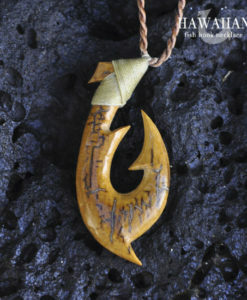 What's more, upon chatting with Po'okela, is to learn the inspiring way he came to learn his art-craft, and to know the actual thought and meaning that went into my hook's individually unique shape! Thanks, a true treasure and pleasure! 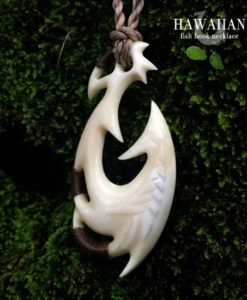 I purchased a Hawaiian Fish Hook necklace for my son as a birthday gift. He is a teenager and I wanted to give him a gift that was special and not video-gaming related. 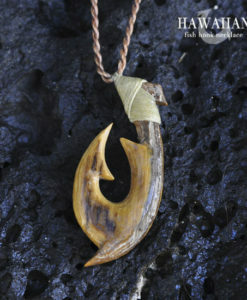 He loved his necklace as it is great to wear year round, goes with everything and really looks nice on him. 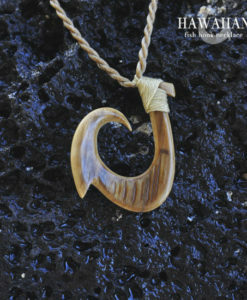 The necklace is obviously made with love and care. The packaging is also wonderful! Get Free Shipping within the USA on all orders over $50 and a quality assurance guarantee. For international shipping additional rates may apply. 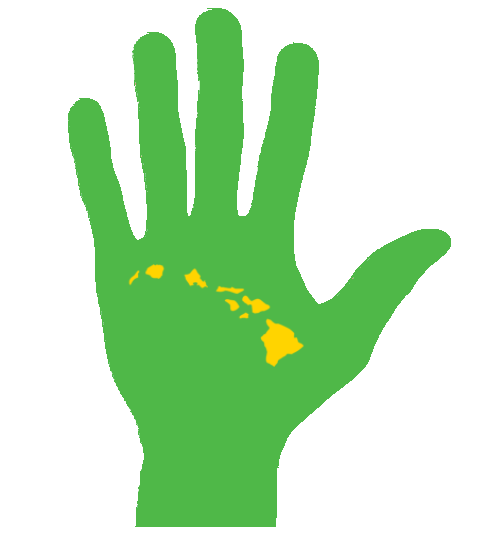 Po'okela will email or talk with you until you feel comfortable enough to make a purchase. There is no rush in buying a Makau. The total billed at checkout is the final amount you pay, inclusive of VAT, with no additional charges at the time of delivery.